Matthew Maglieri is the Chief Information Security Officer at ruby (the parent company to AshleyMadison.com) where he leads an experienced team of cybersecurity professionals working around-the-clock to safeguard and defend the company’s systems and data. He relies upon his experience on the front lines of the cybersecurity industry and specialized knowledge of the tools, tactics, and procedures used by advanced threat groups to build leading threat-based, intelligence-led information security programs. Matthew is a sought after speaker who presents worldwide on how businesses can best assess their risk of a breach, cut through organizational noise and red tape, and transform their security programs to achieve breach resilience. 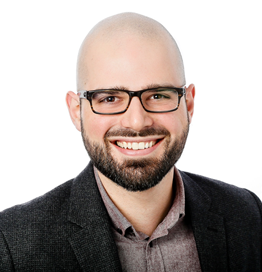 Prior to joining ruby, Matthew served in a leading role helping to develop Mandiant’s Canadian practice. Mandiant, a FireEye company, is a trusted advisor to organizations worldwide with more than 10 years of near-daily interaction with organized, persistent attackers and threat groups around the world. Matthew worked reactively and proactively with organizations of all sizes to remediate security breaches, identify vulnerabilities that targeted attackers exploit, and provide guidance on closing security gaps to reduce the risk of a future cyber incident. He escapes it all by retreating to his family cottage, which remains connected to the world solely via rotary phone.